This ultra-athletic tight end had a slow first year in the league. 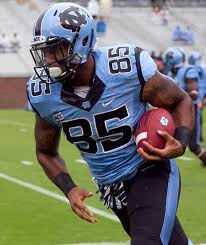 Ebron was the 13th tight end taken and is worth the pick here with upside alone. I’m a strong believer in taking chances on players that play on good offenses in dynasty startups as he may never come at a cheaper price. Brady isn’t the youngest quarterback as he is turning 38 in August, but was the 16th quarterback off the board. That is decent value for one to two years of top eight production when available. He is in the middle of a dispute about “Deflategate” and got drafted by the QB hog team that already had Cam Newton and Matthew Stafford. Here is another quarterback hog selection. This owner selected Aaron Rodgers in the first round, Matt Ryan in the sixth round, and now Flacco here? There were still some elite defensive players that could have been picked. Remember quarterbacks do not hold the highest value in leagues that only start one. I don’t understand why Adrian Peterson’s backup got selected before Joique Bell and Shane Vereen. This is a converted quarterback from a triple option program that needs a lot of work. Too risky for a player that should be around eight rounds later. This is a big, talented rookie wide out prospect recovering from an ACL injury who probably won’t play in 2015. I have seen him fall to the fourth round in most rookie drafts. Stan loves his Niners, but the value isn’t there with this pick. Guys like Phillip Dorsett and Devin Smith have more value than Smelter and got selected after him. Vereen is a PPR machine and may never leave the field when the Giants are on offense. This is one of the forgotten gems that may really shine once he gets a role carved out for him in New York. Getting a top five defensive lineman in the 14th round is fantastic value. Although he might see less snaps with Leonard Williams in town, Wilkerson is a beast despite playing in a 3-4 defense. Perhaps the Jets will find a way to get Wilkerson, Sheldon Richardson, and the rookie Williams all on the field at the same time to wreak havoc. Davis proved last season that he could fill-in for Jamaal Charles if need be and still be fantasy viable without starting. Sims appears to be given the go-ahead in a new look Tampa offense with the Triple Towers (Mike Evans, Vincent Jackson, and Austin Seferian-Jenkins) running interference. Either one of these backs could be a game changer in the 15th, well done.